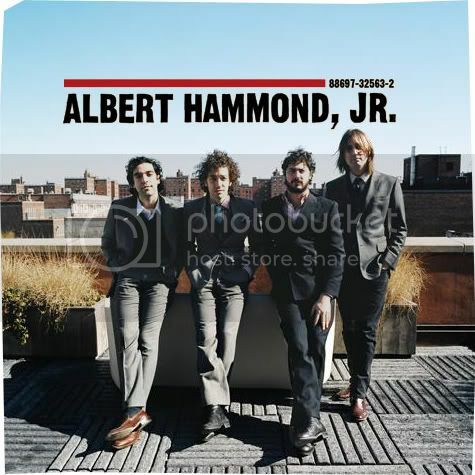 don't be a coconut: New Release: Albert Hammond, Jr. – ¿Cómo Te Llama? 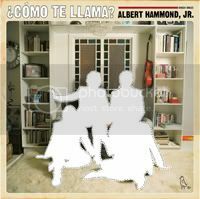 New Release: Albert Hammond, Jr. – ¿Cómo Te Llama? Personally, I’ve always seemed to enjoy watching Albert perform, playing the guitar during Strokes live shows. He brings a certain coolness to the band’s live gigs, a certain ‘Albertness’, a something extra that balances out the band so we’re always intrigued enough. So, stating out loud that Albert needs to leave the band is simply uncalled for; the Strokes wouldn’t make much sense without him. At first hearing, ¿Cómo Te Llama?, does cease to impress, but then comes the second time, and the third time, and the fourth and so on…and then it becomes kind of…… meh. I can’t quite figure out what it is, is it the production, is it the vocals, is it the lyrics, is it the music itself? I think at some point or another, one or two of those elements might have contributed to the drawn out feeling of the record. At some point too, when I was listening to this latest release from the Strokes’ guitarist, it became somewhat of a chore, it became tedious, I was enjoying the tunes lesser and lesser by each subsequent listen. Having said that, the video to the first single ‘GfC’, makes up for what all the record lacks. I love how Albert is more flexible and creatively open-minded in taking on new forms of music video making, or whichever way is best that suits his music. The video is innovatively cool and way better than my lame idea, but we can discuss about doing another video-- for ‘Rocket’ maybe? Also, Matt Romano looks like he’s put on tenfold of years on his age since I last saw him, which was in the ‘In Transit’ documentary. How long ago was that?